A consummate musician, powerful presence and master programmer, Andrés Cárdenes has established himself as a conductor possessing all the essentials of a modern maestro. His innovative programming and compelling performances have earned him high praise from audiences, critics and colleagues alike. Currently Music Director of Strings Festival Orchestra (CO), the Pittsburgh Festival Orchestra, and former Music Director and Leader of the Pittsburgh Symphony Chamber Orchestra from 1999-2010, Cárdenes has drawn audiences to the concert hall for a vast array of aural experiences. A champion of living composers and the music of our time, Cárdenes’ formula for presenting diverse genres of music has been met with great enthusiasm. In 1999, the Pittsburgh Symphony Chamber Orchestra was created for Andrés Cárdenes to highlight his multiple talents as conductor, violinist, violist and leader. The Chamber Orchestra enjoyed a remarkable eleven seasons, premiering 15 works and presenting dozens of rarely heard pieces by well-known composers. In 2006, the Pittsburgh Symphony signed Mr. Cárdenes to a five-year contract to conduct the orchestra in subscription concerts each year. His programming featured works by Poulenc, Hindemith and Debussy that were either Pittsburgh premieres or had not been performed in over 50 years. Stepping in suddenly for an ailing Robert Spano, the Pittsburgh Tribune-Review headlined “Cárdenes conducts with epic mastery”. 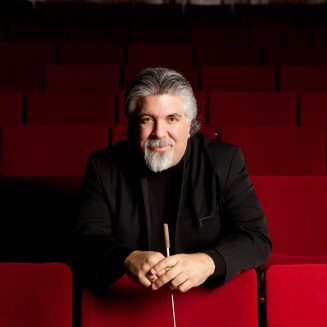 In addition to his frequent appearances with the Pittsburgh Symphony, Mr. Cárdenes has conducted orchestras across the globe: Munich Radio Orchestra, Dallas Symphony, San Diego Symphony, New West Symphony, Fundacíon Beethoven Philharmonic (Santiago, Chile), OFUNAM Orchestra of Mexico City, Sinfonica de Venezuela, National Repertory Orchestra, Brevard Philharmonic, Cleveland Institute Philharmonic, Carnegie Mellon Chamber Orchestra and the Neue Philharmonie Westfalen in Germany. He has collaborated with soloists such as Midori, Sarah Chang, Pinchas Zukerman, Elmar Oliveira, Jon Kimura Parker, Gabriela Montero, Chee-Yun and Lars Vogt.